The Need Of The Hour – Lead Article from ‘The Dawn’ Volume 2, Number 9. THE great need of the hour is for men and women who are not afraid to take hold of active practical work against the growing immorality of the age. There are plenty of persons who applaud the good deeds of others and yet what are they themselves doing? Martha K. Pierce, LLD, in a little tract, which constitutes No. 9 of the social purity series, issued by the Woman’s Temperance Publishing Association, asks such persons a number of very pertinent questions which are worthy of most serious consideration. Did you ever think how dangerous a thing it is for us to attend a meeting, where evils are talked about, and to read articles about them in papers, and get into an agonised state of mind over them and yet do nothing? There is no surer way to deaden moral energy. I fear that this is the danger of the hour. We are feeling dreadful about it all, but are we doing much to stop it? How can we sit in our safe churches and lecture halls and listen in a perfect ecstasy of indignation to denunciation of faraway evils, when we might know if we would, that in the next street some work as diabolical calls to heaven for vengeance. How dare we go home and quiet ourselves into obliviousness to disagreeable things with the hope that sometime women will have the power to do something in some safe and effective and eminently proper way to prevent these shocking things? How many of us are contenting ourselves now with praying that somebody else will do whatever it is “advisable” to do at this juncture? If we could only see ourselves as the pitying eye above sees us when we try to put celestial aspirations into the straightjacket of propriety, we would humble ourselves in the dust, realizing our utter unworthiness to receive those fleeting visitations of the Divine. There is real work before us. Are we watching the train on which bewildered girls are being hurried to a future so terrible that those who love them can have no hope except that Death will find and secure them soon? Are we sure that the pretty sales-woman who waits on us so patiently during an afternoon’s shopping, is not wishing that she had some good, safe friend to go to for advice about some acquaintance whom she half distrusts? Is the servant girl so kindly and justly treated that she does not go to unsafe places for the scanty pleasures that her life of drudgery knows? Has our grumbling at the sewing girl’s bill made her wonder as she turns to go to her home, whether it would be so very wicked after all to accept the protection of some man, who, dissipated as she knows him to be, is the only person who seems to care whether she starves or not? Have we taken pains to secure the confidence of the silly daughter of our careless neighbour, that we may give her an effective word of warning? Is there a place in our town in which any hopeless woman could shelter? And have we taken pains to have its location, and purpose so well advertised that no one could fail to know of it? Have we joined hands with every other woman in our neighbourhood who can be interested in this work (and what true woman cannot be?) that we may help each other in lines of effort that cannot well be carried on by other individuals? Are the laws against abduction, kidnapping, and other crimes allied to the traffic by which our sisters are enslaved, put in force in our locality, not spasmodically, as peculiarly distressing cases happen to come to public notice, but every time they are violated? Are we trying to gain for womanhood such a direct influence in the body politic that officials will find it to their advantage to enforce those laws, and to guard the interests of women as scrupulously in all ways as they now do the interests of the voters upon whose support they depend? And whatever else we do or leave undone, do we speak in season the well-deserved and sorely-needed word of praise for the ones who dare to be the first in any line of this work? Louisa Lawson penned this article for her female readers almost 130 years ago. The call now, directed at both men and women, must read exactly the same! How sad for such a nation as ours to have changed so much, but yet so little, in over a century. Surely there can be no fewer community-minded citizens now? Do we still, as Mrs Lawson suggested, feel that someone ought to do something about ‘those poor folk’ who have not the blessings we ourselves are so richly equipped with? Or do we do it ourselves? I know all too well there are no fewer in need now than then. Is this a task which you would like to undertake and yet find yourself with no knowledge with which to go forward? Here then are causes and organisations with whom you may partner to ensure you meet (some) of the NEED OF THE HOUR. A practical service to girls and women all over the world, groups or individuals produce washable, reusable sanitary items so that, exactly as it says in the name, we can secure more ‘days for girls’. Days for education, days for work to sustain their families, days of dignity and recognition and hope. Consider your freedom to just ‘duck in’ to shops to purchase sanitary products for yourself or someone you love. This basic right is something not afforded to all. As you will realise as you peruse the ‘Days for Girls’ website, many women use shockingly unhygienic or relatively useless items in an effort to manage their menstruation and have access the opportunities that we too often take for granted. There are stories of ongoing failure and poverty due to the lack of such a seemingly insignificant item as a sanitary pad. The shame and taboo of women’s issue is prevalent in more countries and cultures than not and the indignity and mistreatment of women is horrific. Consider the story of one 12 year old girl who, when presented with the DFG kit, was ecstatic that she would no longer have to offer ‘favours’ to a male adminstrator whose role included distribution of donated sanitary products. How can you help to buy back days for girls? Every girl, everywhere, period. Consider families all over the world for whom poverty is generational. Regardless of the initial cause; famine, genocide, war – civil or international, these families spend a great deal of time and energy each day simply surviving. Simply finding enough food to support some growth of their children, finding shelter that most of us would NOT consider adequate and working hard to maintain life and existence. A few minutes spent meeting the families aided by the ongoing work of RAW Impact on their youtube channel will open your eyes to the real life examples of these families. It will also give you hope and a real vision of how these seemingly insurmountable challenges might begin to be overcome, one piece at a time, when you believe, as RAW does, that #everypiecematters And when you believe that, and recognise that YOU can make a difference, this might just be the way you’d like to impact your world for good. I was fortunate enough to be a part of a team of women who travelled to Cambodia in April this year to deliver women’s health classes and Days for Girls kits. You can watch our video here. These are only two of the numerous organisations around the globe for whom people matter, for whom others come before self. It does not take a genius to understand that things don’t change unless YOU do. Things don’t happen without people power. I’m sure there are so many wonderful organisations that you have been privileged to know and work with. Perhaps you would like to share these in the comments below so that others might choose to assist their world in a real way? “And that about wraps it up. God is strong, and he wants you strong. So take everything the Master has set out for you, well-made weapons of the best materials. 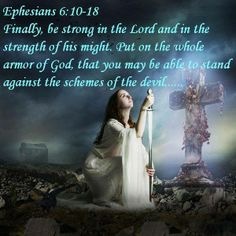 And put them to use so you will be able to stand up to everything the Devil throws your way. This is no afternoon athletic contest that we’ll walk away from and forget about in a couple of hours. This is for keeps, a life-or-death fight to the finish against the Devil and all his angels. Isn’t God fantastic?! He has created each of us a unique individual. Each with her own set of gifts, talents and needs. And He tells us all, in all our uniqueness, that we are all made in His image. Each component that makes me, me or you, you, is part of our perfect, endless, awesome, creator God. Each ability – the decorative flair, the listening ear, the passion for the wounded, the ability to speak, share, peach, tach or comfort, the administrator – is a gift given by a Master who knows each worker’s personality so well. If you’ve got it, you can be sure that God means for you to use it. Similarly, if you’ve a fault, a flaw, a hurt or even a part of your personality that can rub people the wrong way, God has put someone in your life who can help you heal, learn grow or change. And you probably won’t like it! Sharpening a weapon polishing a gem to a smooth finish is a rough process at times. But this is a battle and we take the blows with the victories; all the time strengthened by the knowledge that God has fitted us for battle; kitted us out with the best weapons and armour if only we’ll put them on. And He’s given us allies to stand with; to pray with and for and to fight alongside until we see the end of the skirmish in the war God has already won. The defeat of the enemy who was overcome so long ago by a single act, on a simple wooden cross, by a loving Lord with profound and far reaching consequences. Depression – The roller coaster that doesn’t stop. I’m afraid to tell people about my struggle with depression because of the stigma that is often attached to it. Think of the vocabulary associated with depression. Depression, the very name itself means ‘down, hollow, flat, lower’. Mental health. Psych. Psychologist, psychiatrist, psychiatric – it’s not a big leap. Medication. Issue. “issue” We laugh, but it’s true. Maybe I’m seeing it through eyes of fear, and that is probably the case. I was nervous and even a bit scared of telling you all of this today. Scared of the way you might respond. I wanted to think of some eye opening beginning that would share with you just how hard sharing this is going to be for me. One glorious 2am last week some time (don’t you get the best ideas at 2am?) I thought that a photo in here of me naked might most accurately represent how I feel about sharing. But almost as soon as I thought it, it was followed by, Argh! I can’t do that! I’m not comfortable enough to let go of the ‘supports’ that I have in clothes. What about in underwear? That’s pretty vulnerable. Then I couldn’t stop thinking about did I have knickers that matched my bra? And that idea was pushed aside too. I figured I’d tell you about it though because even though it’s funny, it’s a very, VERY accurate analogy of how exposed I feel right now. When I tell people that I have depression I usually get one of four responses: a blank look and an uncomfortable silence which can lead to withdrawal; a ‘fix it phrase’ (more about that later); agreement – either they, or someone they know, have depression and we share our experiences or mostly; disagreement – “you’re too happy and funny to have depression!” And although I’m telling you about other people’s responses to me, these are the very thoughts I’ve had about myself. I want to share some of that with you today. I’m sometimes struck by the day and night metaphors for depression. Depression is Beyond Blue or The Black Dog. Night times are often harder; that getting up in the morning, however lovely, has sometimes been a huge trial for me and how many times I’ve felt brought into the light despite depression. I’d rocked up to an event that I was looking forward to and next thing I was feeling all teary and that’s on the days I could manage to go at all. And that’s the story of my depression through the years. When I look back, with that 20/20 vision hindsight gives us, I believe that my depression started when I was around 17 or 18. Yes, I’ve always been the happy, slightly flippant person that you all know and love 😜 but I was visiting a friend and for no apparent reason ended up crying for about a day and a half. I didn’t know why and I’ve got to say I didn’t really think much about it til late last year. At various times during my life since then, I’ve had similar experiences. After Markeri was born, we moved to Brisbane from Cairns and away from most of our family and support. When I went to the doctor saying I was tired and teary all the time, it’s not that surprising that postnatal depression was diagnosed. With a 3 year old and a 1 year old, what else could I expect? It was some months after that first diagnosis that I admitted defeat and started taking anti-depressants. I went to see a psychologist and felt particularly irritated by the whole experience; the fact was, I didn’t have anything to discuss with her – what was wrong with me? It felt like everything and nothing at the same time. Did you hear the words I just used? Admitted defeat; irritated; what was wrong? Everything; nothing. These are common feelings for those with depression. They are some of the major signs. Around the same time, the kids and I found the playgroup and the Wesleyan church at Logan, where we still go today. At first I went to church for the children’s sake, I wanted them to have a good grounding, like I’d had. I called myself a Christian because I’d grown up going to church, but it was not until a number of months later that I realized the truth. Logan, my eldest, was about 3 ½ and we were driving home from church after a group of puppeteers had performed. Their theme was having a clean heart when Jesus was in it. I can still remember the barbershop quartet of wide-eyed puppets singing “When Jesus Came Into My Heart.” As we drove home, Logan asked me a question about the black heart and the white heart and I explained it to him. It still amazes me that I could explain the way to accept Christ and still completely miss my own lack in doing so! Logan got it though and I led him through a prayer to ask Jesus into his heart and even Markeri, at about 18 months of age, piped up with “Jesus my heart too.” And I still missed it. I don’t remember the day, but I do remember being in the car at night, waiting to go to a choir practice – following the psychologist’s advice and doing something for myself – and having to lay my chair back so no one would see the sobbing mess that I was. I’m glad that God understands because it wasn’t until then, when I felt that this was the lowest point I could possibly reach, that I prayed for myself for Jesus to come into my heart. I admitted my complete inability to do this on my own and that I needed Him. I’ve never been sorry for that step, but it’s made me feel like a fake at times. For years I didn’t want to tell anyone how useless I felt or about my irritability with the kids. For someone who is usually pleasant, relaxed and competent – I was a screaming fishwife, tense and feeling like a failure. I didn’t even admit it to Neal – hence the sobbing in the car while he was at home with kids. On the outside I was doing well – I was helping to organize playgroup and running a number of the activities. I was worship leading at church. I was completing my degree by correspondence. I was working part time. Neal and I were managing to make one and a bit very small incomes work and even pay for private school. I had two lovely children and I was pregnant again – watch this space! I can see some of you smiling and nodding already, you know where this is going, don’t you? And down we go again. So many times I’ve stood at the front of the church to lead worship feeling like a complete fraud. I was praising God that day, but it seemed that the depression meant I wasn’t happy enough with what He’d given me. If I were, I wouldn’t be feeling this way, would I? I was thinking to myself and apologising to God – if they could just see how useless I really am underneath this smile…who am I to be leading anyone else to worship? If I could just work a little harder, trust more, have more devotional time and have more faith, I could get God to fix me. Having convinced myself that I could and would work through this, I took on everything. Being busy helped to squash out some of those feelings of uselessness. And being tired from doing everything gave me some excuse to feel the way I did, even as I felt that there was no reason to cry and sleep (or not) so much. I told myself that if I could make it through being pregnant with Toby without falling apart – and I did, as I wasn’t prepared to run the risk of taking medication with unknown effects while I was carrying him – then I could ‘fix’ myself. Every now and then I’d again admit defeat, cry to whichever doctor I was seeing at the time and try medication and counseling again. Again, I’d feel like a failure and try to believe that the stressors of the moment – financial stress, postnatal hormones, relationship difficulties etc etc were the cause of this and if I could just work hard enough, I’d be able to fix it. For years, and even now on occasion, I have set myself up as a bit of a “super-woman” (hands up if you are in this category too). I feel I SHOULD be able to do everything and when that isn’t the case, I feel like I’ve failed. Repeat this pattern ad nauseum for the next decade. Please don’t get me wrong, my life hasn’t been this massive pit of despair. Most of the time I really do feel the way I behave. I really do feel good, happy, a little bit silly at times and I don’t want anyone here thinking that it was always a down in the dumps life. It’s just that’s what I’m sharing today, so that’s the bit you get to hear about most. God has been wonderful to me and blessed me enormously. He’s also made and helped me face parts of my behavior and personality that I’d just as soon have left alone, thanks very much! It’s taken some considerable time and pain, but God is finally getting through to me and I hope He will use me to get through to others, maybe even today. The 12 months of 201-2012 were a very weird mix of fabulous and frightful. Fabulous because I managed to lose 20 kilograms without it feeling like an effort. Frightful because I’ve got at least another 20 to go. (And have now put back on both!) Fabulous because I’ve found some answers. Frightful because of what those answers mean. Fabulous because of the very small package – young Theo – that has been God’s big surprise for us and frightful because of the horrible 9 months he cooked for. Let me run through those last four for you – the bits about the kilograms are pretty self-explanatory. For many, many days that year I got up out of bed with minutes to spare, honestly, only minutes, before I had to leave to take kids to school and myself to work. I became a master at showering and dressing in seconds flat and eating toast or fruit on the way. I got a few odd looks as I brushed my teeth at traffic lights and put my shoes on in the carpark. I became more and more guilty and angry at myself because the kids were being the parent I should have been. When your 12 year old daughter wakes you up cause it’s time to go; your uniform is ironed by a 14 year old son who doesn’t iron his own and you eat a butter sandwich and apple for lunch cause that’s what your 8 year old has made for both himself and you, you know that if this isn’t rock bottom then it’s as close as you want to get. They don’t say much about it now, even when asked, but as a mum I worry about it. I asked them to write down what they thought and felt about it, cause Neal and I did try our best to explain and I thought that I’d share that with you too. The boys dictated theirs to me and then gave me a hug and went on playing. Markeri wrote hers in her room and then apologised cause she wasn’t sure it was the right thing – don’t I feel great now! Toby – when Mum had depression, I noticed that she was angrier, didn’t really spend a lot of time with people – mostly spent time by herself in her room. I felt upset and annoyed cause I didn’t really like it as it meant that I didn’t have much time with her. Logan – Mum was often snappier with us and got angry more easily. I was often annoyed cause I was often in trouble that I didn’t think I deserved and it was hard cause I do like spending time around Mum, but when everything I did was wrong, it made that a bit hard. In late November that year, I had a day off work for the third week in a row. I love my job and it’s usually a case of ‘wild horses couldn’t drag me away’ but Neal stepped in a told me I wasn’t going on this day because it was the third time in as many weeks that I’d woken up crying, unable to do the simplest things without sobbing and becoming an absolute wreck. Although there was honestly no reason for me to feel the way I did – no postnatal depression, no financial stress, Neal’s and my relationship was better than ever and I love my job – no reason at all – it kept happening. I went to the doctors’ clinic and asked to see someone as soon as possible. A new doctor was available and when I cried and snorted through why I was there, she said something I’d never heard before. She told me that depression like mine isn’t psychological, although, like everyone else I react to stressors, but my depression is chemical. Like a person with diabetes who needs to top up their own insulin with injections of a created insulin, I need to top up the chemicals in my brain that keep me healthy, happy and functioning with created chemicals – hence the anti-depressants. She’s since told me that this is likely to be a lifelong medication need for me; that my body just doesn’t make enough and when it’s gone, life as we know it is like trying to run a car on an empty fuel tank. I felt such a weight off my shoulders just having that much of an answer. So, I went back on my medication. A week later, and ten days late for my period, I was back to the doctor again…surprise! We’re having another baby. I’d have a 15, 13 and 10 year old and a new born baby – who says God doesn’t have a sense of humour? As exciting as the idea of a new baby was, I had to make to the really tough decision not to continue with my medication for at least the first few months of my pregnancy. The doctor was certain that the medication she’d prescribed was safe, but I knew that I’d rather struggle with my ability cope than have the worry of the baby not being ok hanging over me. I knew I’d manage that more than trying not to blame myself if anything were to go wrong. Of course, it wasn’t just me that had to deal with the symptoms that come with the combination of baby hormones and un-medicated depression. Neal and the kids got me through it and I’m grateful more than I can explain. I can’t fully do justice to what tha tyear waslike, even with all the talking and writing I do. I can best describe it as one of the worst seasons of my life. I’ve never been as tired. I gagged and threw up so much that Toby asked me honestly if my lungs or the baby would come out too. If getting up was hard before, it was nigh on impossible now. My Grandpa used to tell us (A LOT) that there was no such word as can’t – but I simply couldn’t do a lot of things and if my guilt was bad before about the kids being the parents and Neal taking on so much, it was much, much worse now. My first 3 pregnancies were boring, predictable and healthy. I now understand some of the difficulties that others have gone through. I was sick. I was tested early for gestational diabetes (because of my weight and age – and doesn’t that make a person feel great?) and found that I did have it. I have a severe needle phobia and had to test my sugar four times a day. I had acid reflux, indigestion and heartburn to the point that our bed was diagonal and that wasn’t helping either. I was on medication for that and to help me sleep and did I mention the depression?? About 2 months before Theo was born, I simply wasn’t coping and I have to tell you that I felt like the biggest failure ever when the doctor prescribed me valium and three days in bed. For me, a person who generally takes Panadol sparingly, and who now felt that if I jumped I’d rattle, this was a VERY LOW point indeed. But, as Neal said, it was that or have him watch me like a hawk. I think I scared him when I admitted after one utterly sleepless night that I’d looked at the door frame and considered how hard I’d have to hit my head against it to knock myself out and get some sleep. I scared me too. I can smile about it now because it’s over and I have the lovely small boy and my family has the relatively normal me back again – but I’m telling you this, not only for my story’s sake, but so you’ll get a little glimpse into what depression can be like. When I’ve mentioned my depression to others, I’ve been most afraid of the three F responses. Please don’t be offended by these next definitions, they are just my way of expressing my feelings in light of some responses I’ve had. The fragilers – those who treat me with delicacy after they know. The ones who, perhaps unintentionally, make me feel like an unexploded bomb that might go off at any moment. I already feel a bit of a mental case, tiptoeing around me doesn’t help. And the ‘faith-ers’ – those who believe that if I had more faith, it would all go away. God would take it away and the devil would go away. People don’t use those exact words generally, but the message is there. Again, don’t get me wrong, I’m absolutely certain God can give and takeaway just as it pleases Him – He’s proven that with illnesses and depression and all sorts of things since the very beginning and still does. But I think that sometimes in our hurry to help and encourage others to get closer to God, we are actually blaming the person with the illness – physical or mental. And maybe we’re not seeing the fact that it might not be from Satan and that God is working through my depression for His reasons, whether I know about them or not. I hope so. I now want to tell others of my experiences and I’ve been doing that on a one-to-one basis, in front of groups and now, online. I’m hoping God can use my experience to help other people. For those who are aware of their own depression, I hope that my sharing will help them to accept themselves more and not feel alone and useless. For those of you to whom this is a completely new thought, that you will carefully think about your response to people who are depressed and not unintentionally cause them more hurt. I want us all to be able to help one another. Possibly there are people reading today, or that you know of in your own sphere of influence, who need help to recognise and accept their symptoms and to take the next step and get help. And here’s where I want to close. That all of us, those struggling with depression and those who are not; those who know depressed people and those who don’t; those who understand how it all works and those who don’t – that we all can do for one another what God has done for us. In the words of a lovely song – He looked beyond my fault and saw my need. Different types of depression often have slightly different symptoms and may require different treatments. The five main types of depression are listed below. Major depression – a depressed mood that lasts for at least two weeks. This may also be referred to as clinical depression or unipolar depression. Psychotic depression – a depressed mood which includes symptoms of psychosis. Psychosis involves seeing or hearing things that are not there (hallucinations), feeling everyone is against you (paranoia) and having delusions. Dysthymia – a less severe depressed mood that lasts for years. Mixed depression and anxiety – a combination of symptoms of depression and anxiety. Bipolar disorder – (formerly known as manic depressive illness) – involves periods of feeling low (depressed) and high (manic). Very common. Around one million Australian adults and 100,000 young people live with depression each year. On average, one in six people will experience depression in their lifetime – one in five females and one in eight males. If you notice any behavioural changes that last for more than two weeks in family members or friends, then it is worth asking if the person may be depressed. slowing down of thoughts and actions. It’s important to note that you can’t always identify the cause of depression nor change troubling circumstances. The most important thing is to recognise the depression and to seek help. It’s not always easy to help someone who may be experiencing depression. It can be hard to know what to say or do. Below are some tips. Talk to the person about how they’re feeling. Listen to what the person says – sometimes, when a person wants to talk, they’re not always seeking advice, but just need to talk about their concerns. Maintain eye contact and sit in a relaxed position – positive body language will help both people feel more comfortable. Use open-ended questions such as “So tell me about…?” which require more than a ‘yes’ or ‘no’ answer. This is often a good way to start a conversation. If conversation becomes difficult or if the person with depression gets angry, stay calm, be firm, fair and consistent and don’t lose control. Often, just spending time with the person lets them know someone cares and understands them. Encourage the person to seek professional help from their family doctor or a mental health worker. Take care of yourself. Supporting someone with depression can be demanding. Family and friends should take ‘time out’ to look after themselves. Depression Bible Verses – Discover the Bible says about depression and how to fight it. Find Scripture that will encourage us to find peace and joy in the midst of depressing circumstances and feelings. Overcome depression with the help of God and His Holy Spirit! 8 Finally, brothers, whatever is true, whatever is noble, whatever is right, whatever is pure, whatever is lovely, whatever is admirable–if anything is excellent or praiseworthy–think about such things. 17 The righteous cry out, and the LORD hears them; he delivers them from all their troubles. 1 I waited patiently for the LORD; he turned to me and heard my cry. 2 He lifted me out of the slimy pit, out of the mud and mire; he set my feet on a rock and gave me a firm place to stand. 3 He put a new song in my mouth, a hymn of praise to our God. Many will see and fear and put their trust in the LORD. 10 Many are the woes of the wicked, but the LORD’s unfailing love surrounds the man who trusts in him. 11 Why are you downcast, O my soul? Why so disturbed within me? Put your hope in God, for I will yet praise him, my Savior and my God. 3 Praise be to the God and Father of our Lord Jesus Christ, the Father of compassion and the God of all comfort, 4 who comforts us in all our troubles, so that we can comfort those in any trouble with the comfort we ourselves have received from God. 12 Dear friends, do not be surprised at the painful trial you are suffering, as though something strange were happening to you. 13 But rejoice that you participate in the sufferings of Christ, so that you may be overjoyed when his glory is revealed. 23 If the LORD delights in a man’s way, he makes his steps firm; 24 though he stumble, he will not fall, for the LORD upholds him with his hand.